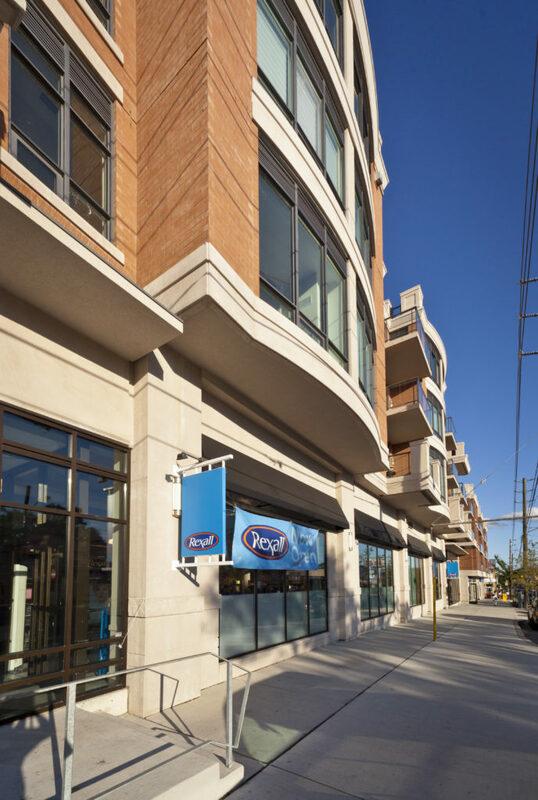 Previously this large site contained non-descript retail and an open parking lot, not reflective of the area’s prime location in North Toronto and its diverse community. Turner Fleischer transformed the parcel into a vibrant, urban mixed-use hub, balancing local needs and future ambitions. The client’s goal was to redevelop the land into a mixed-use retail and residential condominium project but, at a proposed seven storeys, the project was met with opposition. Neighbourhood groups wanted to preserve Avenue Road as a two-storey shopping street, which required a creative solution to balance the two opposing visions. 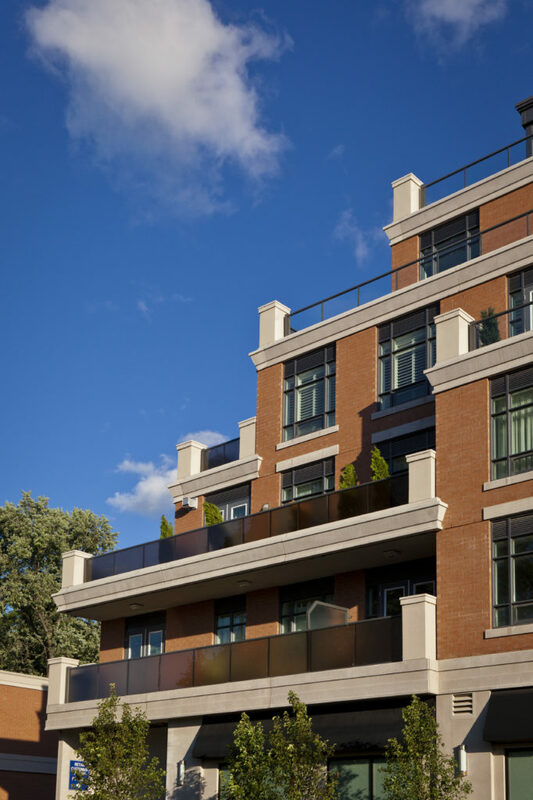 On approval, the project was reduced to six storeys, terraced in all four directions to remain within the City of Toronto urban design 45°angular plan requirement for the single family neighbourhood. The project has a porte-cochère pedestrian link from Avenue Road to the residential entry, which is centred on a rear lane connecting two side streets. 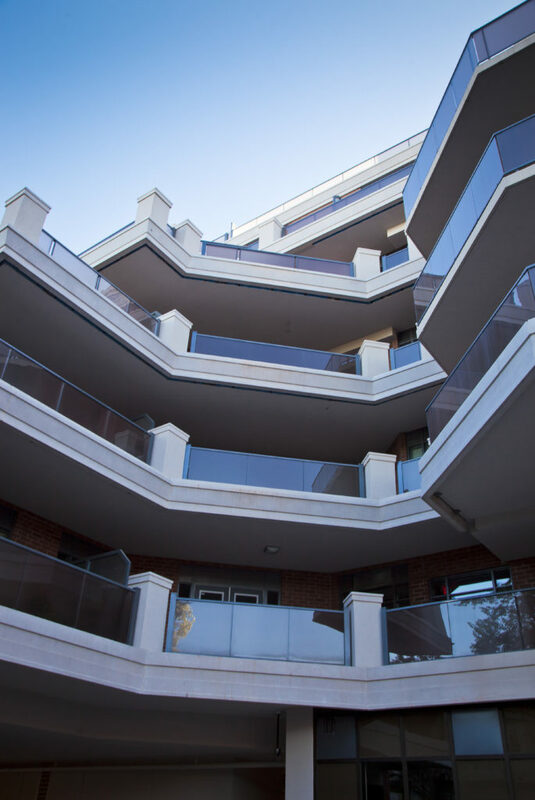 Exterior materials include face brick, precast concrete and window wall detailing in a traditionally proportioned façade in keeping with the area. 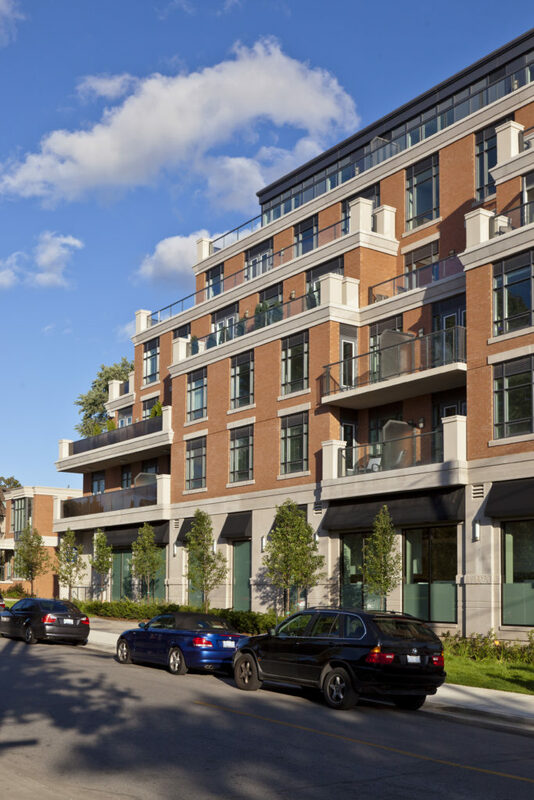 The project has become a bellwether for the redevelopment of Toronto’s avenues.